The A-SAT test by India last week resulted in about 400 pieces of orbital debris that could damage the International Space Station, a NASA official said. Washington: The NASA on Tuesday termed as a “terrible thing” India’s shooting down of one of its satellites that has created about 400 pieces of orbital debris, endangering the International Space Station (ISS). “That is a terrible, terrible thing to create an event that sends debris and an apogee that goes above the international space station. That kind of activity is not compatible with the future of human spaceflight that we need to see have happen,” he said at a NASA townhall here. “The ASAT test by India last week has resulted in about 400 pieces of orbital debris,” he added. “Some 60 pieces of orbital debris have been tracked so far, 24 out of which poses risk to the International Space Station,” he said. Bridenstine is the first top official from the Trump administration to come out in public against the India’s ASAT test. “We are charged with commercialising of low earth orbit. We are charged with enabling more activities in space than we’ve ever seen before for the purpose of benefiting the human condition, whether it’s pharmaceuticals or printing human organs in 3D to save lives here on earth or manufacturing capabilities in space that you’re not able to do in a gravity well,” he said. “All of those are placed at risk when these kinds of events happen,” Bridenstine said as he feared India’s ASAT test could risk proliferation of such activities by other countries. “When one country does it, other countries feel like they have to do it as well,” he said. “It’s unacceptable. The NASA needs to be very clear about what its impact to us is,” the NASA Administrator said. He said the NASA is “learning more and more every hour” that goes by about this orbital debris field that has been created from the anti-satellite test. “Where we were last week with an assessment that comes from NASA experts as well as the Joint Space Operations Center (part of US Strategic Command).. is that the risk to the International Space Station has increased by 44 per cent,” Bridenstine said. The risk from small debris as a result of the ASAT test to the ISS went up 44 per cent over a period of 10 days. “So, the good thing is it’s low enough in earth orbit that over time this will all dissipate,” he told his NASA colleagues. “And we’re still dealing with it. We are still, we as a nation are responsible for doing space situational awareness and space traffic management, conjunction analysis for the entire world,” Bridenstine said. The US, he said, is doing it for free with the its taxpayers money from an orbital debris field that was created by another country. “Why do we do that as a nation? Because it’s the right thing to do because we want to preserve the space environment,” he said. “At the end of the day we need to be clear with everybody in the world, we’re the only agency in the federal government that has human lives at stake here. And it is not acceptable for us to allow people to create orbital debris fields that put at risk our people,” he said. Is undertaking ASat tests the birthright of only USA, Russia and China ?Hitherto these three countries have several such tests and that point of time also the same risk existed. Why there was no hue and cry made by NASA as well as the print and visual media at that point of time. Moreover, is it required for any nation to announce or seek permission of the major powers for undertaking any developmental or research work which a nation will undertake to safeguard the nations interests and geographical boundaries. This test undertaken by Modi Government will act as a deterrent for the neighbouring countries who are working overtime to stall the progress of the nation .This test is a feather in the cap of Indian scientists, who have indigenously developed the capabilities without seeking any external help. Is that what pinching the detractors within the country and abroad ? – NASA is tracking 23000 debris (more than 10cms). – Of these, 3000 debris are of the ASAT test of China, alone. – The number of debris of Indian ASAT test being tracked are – just 60. 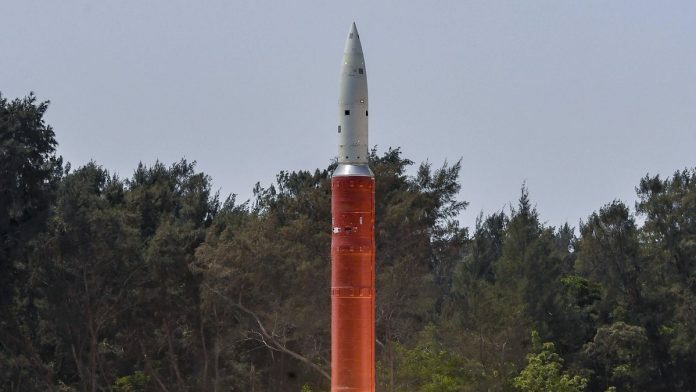 – It is expected that these will disintegrate in weeks, and India is tracking them as well, as India is planning PSLV C-46 mission in mid May and definitely won’t want a collision! The explosion of our live satellite in space was deliberately timed for days before elections to catch eyeballs and was wholly political because this technology demonstration of bringing down our own satellite could have been done anytime before as we had the tech since 2012 as stated by DRDO. Statement of Amb Venkatesh Varma 7.10.14 at the Conference of Disrmament. By conducting this live technology demonstration which has thrown debris even above the American Space Station, and imperilled thousands of satellites, including ours, how have we ‘strengthened the security of space assets’ or ‘protect(ed) and preserv(ed) access to space for all’? This is also the end of our struggle for the last 20 years to secure membership of the NSG which was created to target India after our 1974 test. This is a huge setback. In his quest for eyeballs at election time, PM Modi is firing all cylinders regardless of what it does to our image in the world and the damage to our core interest of technological access and possible destruction of space assets of other countries. Significantly Varma mentioned PM Modi in his Oct 2014. Therefore the assurance was not just a bureaucratic exercise but it had the imprimatur of the Govt at the highest level. out Image was getting a beating for the past 60 years. so this crocodile tears coming from left is just waking in the thin air. pity. sorry. not to hurt you. but it comes as a leftist, no solution, only negative comment about the country. all of these type of thought creating brains have to be sent to Israel for some years to know how the people behave there under such circumstances.